What are you waiting for, exactly? A sign from God? The stars to align while the moon is eclipsing? A unicorn to show up in your backyard? I have news for those procrastinators waiting for just the right time, it’s not coming. That’s just an excuse. The only way to truly know it’s the right time is by looking backwards and then it’s to late. Perfect timing is so rare you will miss out on a life time of opportunities and experiences waiting for it to come. This could be the day your life changes forever. 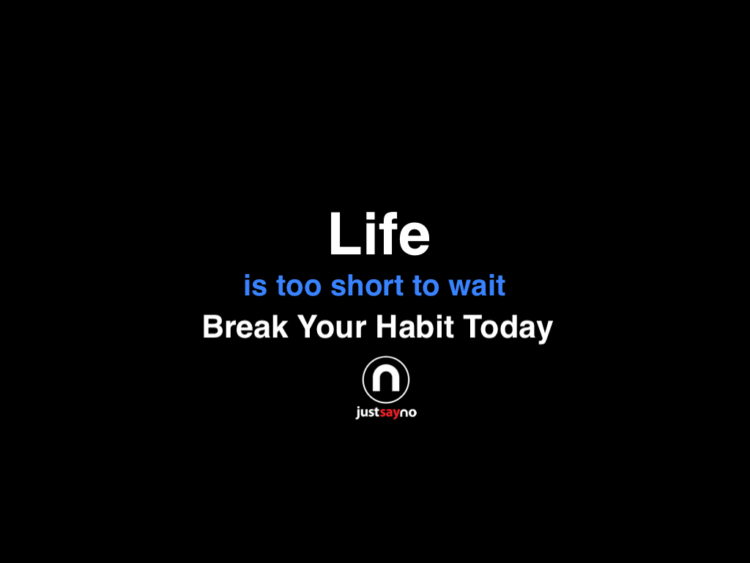 This could be the day you quit that nasty habit and conquer self destructive behavior. Whats holding you back? Nothing will ever change if you just sit around waiting for something to happen. Something is happening, your ruining your life. You can break that bad habit. You can conquer any addiction. Millions of people just like you have already done it. Today is the day to free yourself from your habit or addiction. If your waiting for a sign, this is it.